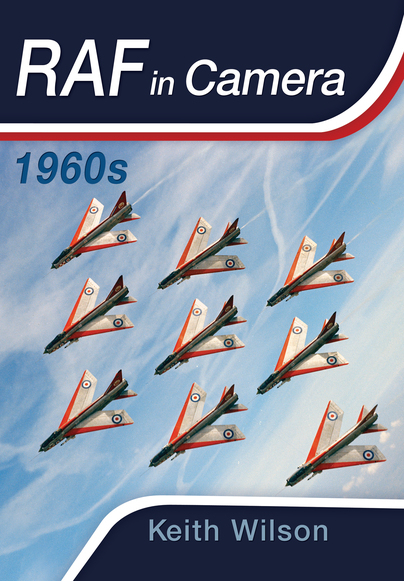 You'll be £35.00 closer to your next £10.00 credit when you purchase RAF in Camera: 1960s. What's this? Order within the next 8 hours, 33 minutes to get your order processed the next working day! The 'Swinging Sixties' was a remarkable decade. For the Royal Air Force it was a most interesting period in their history, representing a period of base closures, contraction and a significant change in equipment - especially in the level of technology operated. In 1960, all three of the V-bombers - Valiant, Vulcan and Victor - were in service. The English Electric Lightning established a firm place in British aviation history by being the first single-seat fighter designed to exceed the speed of sound in level flight. Within Transport Command, the Britannia C.1 was operating alongside the Comet C.2, providing an excellent strategic transport capability. The Comet C.4 would enter service in 1962, the VC-10 C.1 in July 1966 and the Belfast C.1 by the end of 1966. During the decade, the RAF celebrated its 50th Anniversary, having been formed on 1 April 1918. They also came to be embroiled in a number of conflicts, while still playing their part (alongside the British Army and the Royal Navy) in policing a number of territories and theaters including Malaya, Indonesia, Cyprus, Kenya, Rhodesia, Aden, Libya, Bermuda and Anguilla in the West Indies. Here, Keith Wilson takes us on a richly illustrated journey through the decade, with each chapter focusing on a specific year and relaying all the fascinating events and highlights that characterized it. This is a colourful and insightful history, told with narrative flair and a clear passion for the subject matter at hand. The images in the books have been given carefully researched and extended captions, containing the most salient information about the aircraft types depicted, as well as where and when each photograph was taken. Each of the books' chapters covers one year and there are appendices giving extra information in chart form.